If there’s one thing I hate to hear it’s “you can’t”. But what if the “you can’t” is coming from your doctor? I had some oral surgery yesterday and was really dismayed when the doctor told me to suspend working out for 5 days. This might not seem like a big deal but so far I have a perfect streak going and have not missed a single workout in the past 10 weeks! I was super psyched about that. I’m also afraid if I miss one, I open myself up to skipping more. I don’t want to open that door of “well, I did it that other time, so I can skip this one too”. I just feel like a little kid and want to stomp my foot and yell “it’s not fair!”. Taking 5 days off was not mentioned at all in the pre-op meeting. If it were I could have snuck in a few workouts before, a few after and still been generally fine. Now I feel like I need to either skip workouts or risk “pain and bleeding” (neither of which sound like fun). 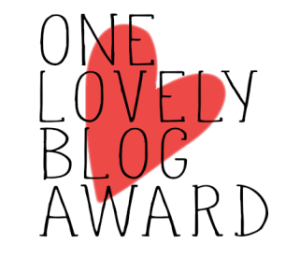 Thank you Alison of MostlyHealthyLiving for nominating me for the One Lovely Blog Award! I was so flattered you thought of me for this recognition. I love 80’s music. When it’s treadmill time I flip on Pandora’s 80’s Cardio playlist and am good to go. I love sandwiches. Quite a bit. Also my favorite post-race food. 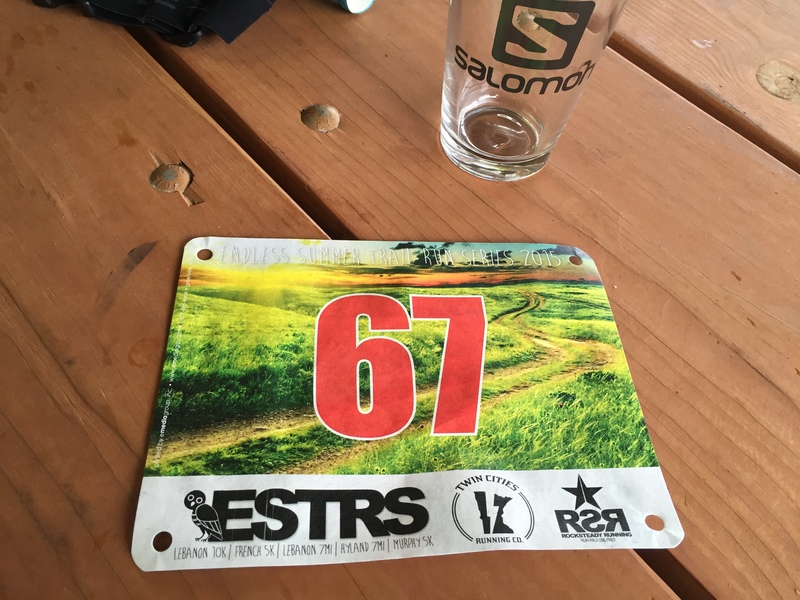 If someone suggests eating something else after a race I get sad. I really love making dinner and eating at home. 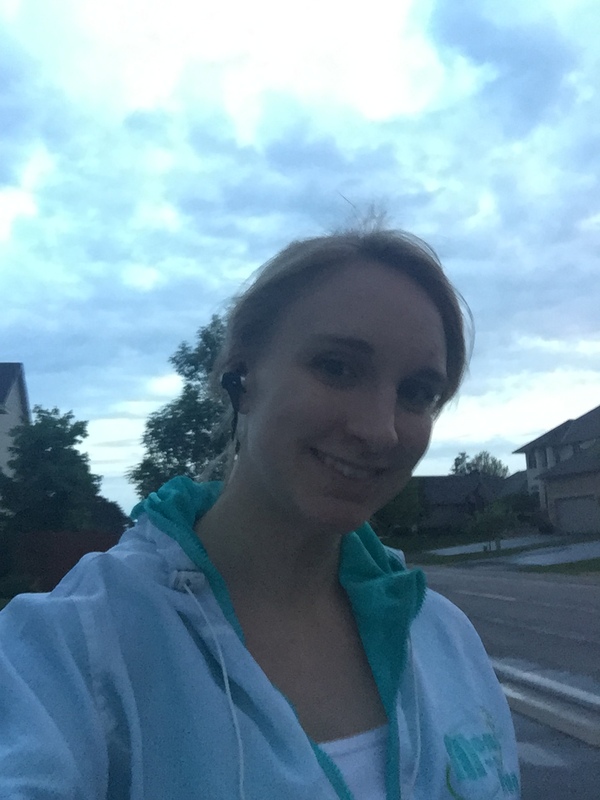 Like many of us, my hubby and I are on the go so much with full time jobs, kids activities, my grad work and marathon training, his hockey that we often eat fast food for dinner or grab something that can pack easily. It’s so nice to spend time cooking and eating a real meal. In my teen years I liked to dress up in period costume and participate in civil war reenactments. In closing, here is a video I shot of my training run on Monday while messing around with the GoPro. 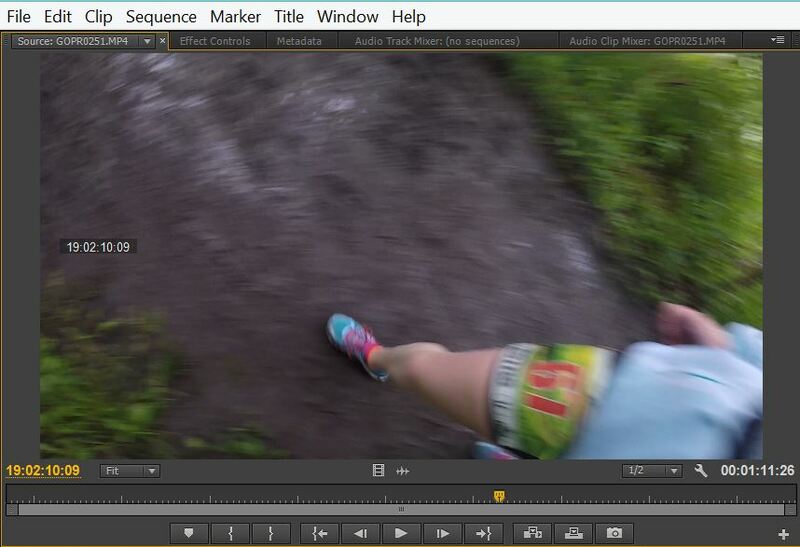 And a little teaser for my upcoming race recap of the Lebanon 10K Trail Race I participated in yesterday. 🙂 Let’s just say there was some mud involved. It’s been a weird couple of days. 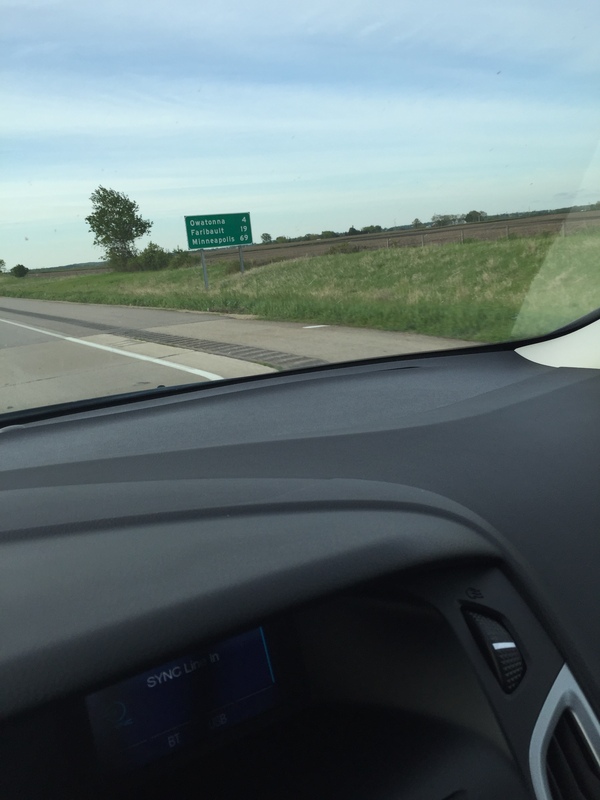 I drove to Sioux Falls from Minneapolis and back yesterday. The one way trip is about 4.5 hours… fancy math boop beep boop…yup, 9 hours total in the car yesterday with a few hours of working in Sioux Falls in the middle = one loooong day with very little physical activity. I think my fitbit was something like 2,000 steps. For the entire day. So I missed my workout yesterday and needed to make it up today. 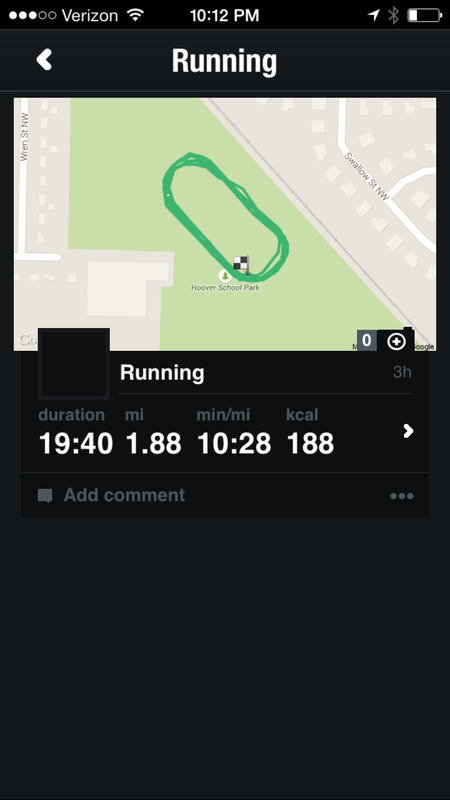 Luckily, my sons’ lacrosse practice is held in the middle of a running track at a school. 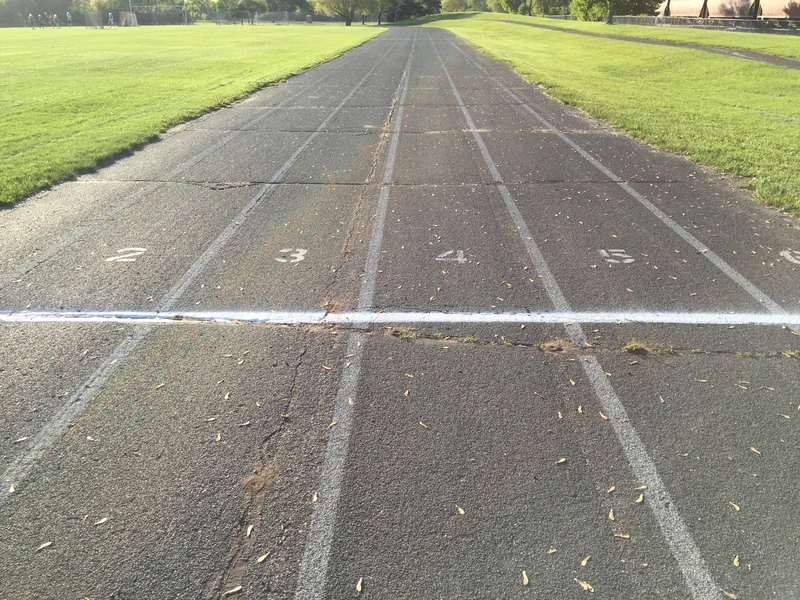 I’ve actually never done a workout on a track before so I thought I’d give it a shot. Turns out it isn’t too bad. Not super exciting since it’s just circles but it was a great way to get some fresh air while my guys were at practice anyway. 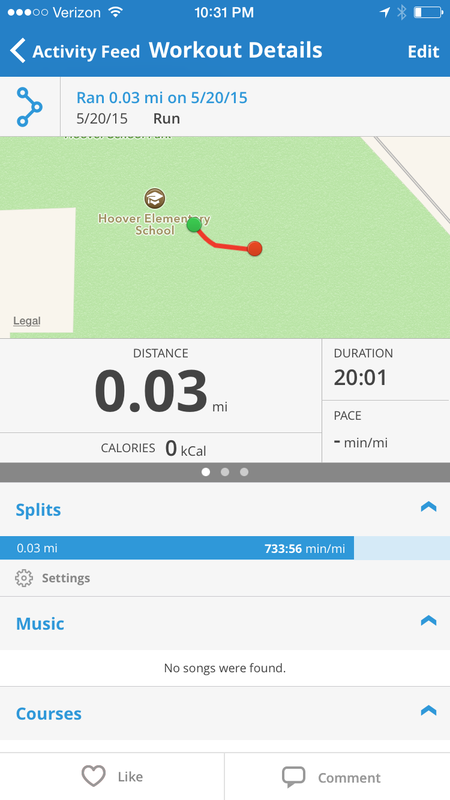 This week’s workouts were really tough. 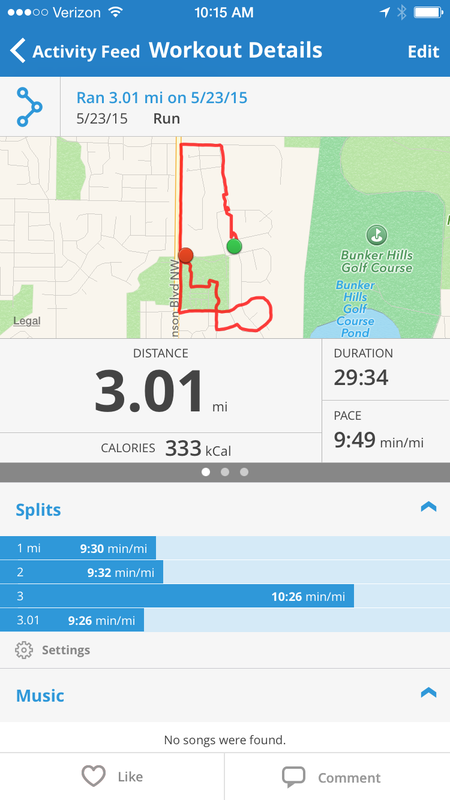 I had to push out my usual Thursday run to Friday which put some difficult speed work (for me) the day before my long run. I will try to avoid that in the future and give myself the rest day between. Those back to back runs were just a struggle. Here’s what next week looks like. In other news, I took a break off of dieting. It’s just been one of those crazy hectic weeks and I didn’t feel like logging anything which isn’t like me. I’m not eating badly, just not counting every little thing. 🙂 Do you ever have one of those days? Or weeks? 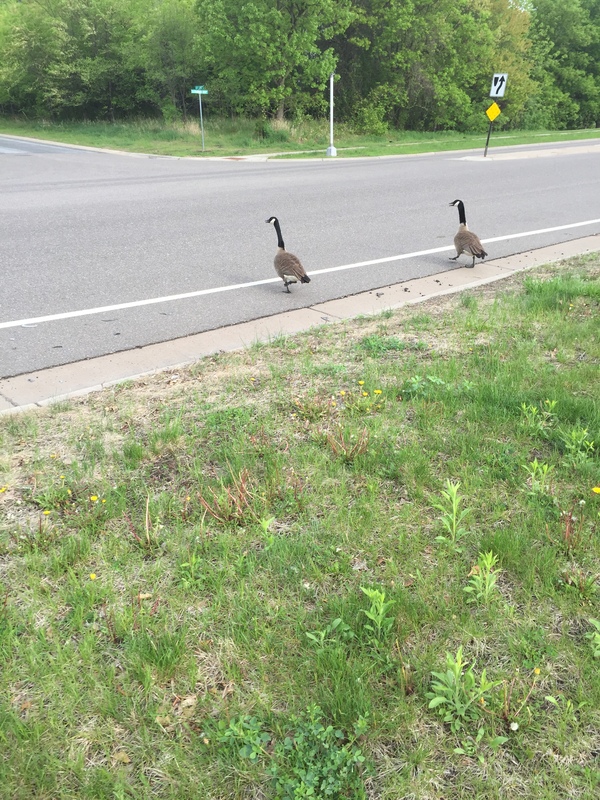 Also, saw some geese yesterday on my long run. Cute! If you haven’t guessed already, I love documenting and tracking everything about my fitness. Here are a few of my favorites that I use on a weekly/daily basis. That’s all I’ve got for now! I’ve tried many others and either disliked or become bored with them. Would love to know what else is out there though. Happy Tuesday everyone!